The Pool Suites are situated slightly away from the main hub of the hotel in their own walled, tropical landscaped garden. The papaya, mango and avocado trees and the scent of lemon grass surrounding a lovely private pool, gives the true feeling of an African oasis. 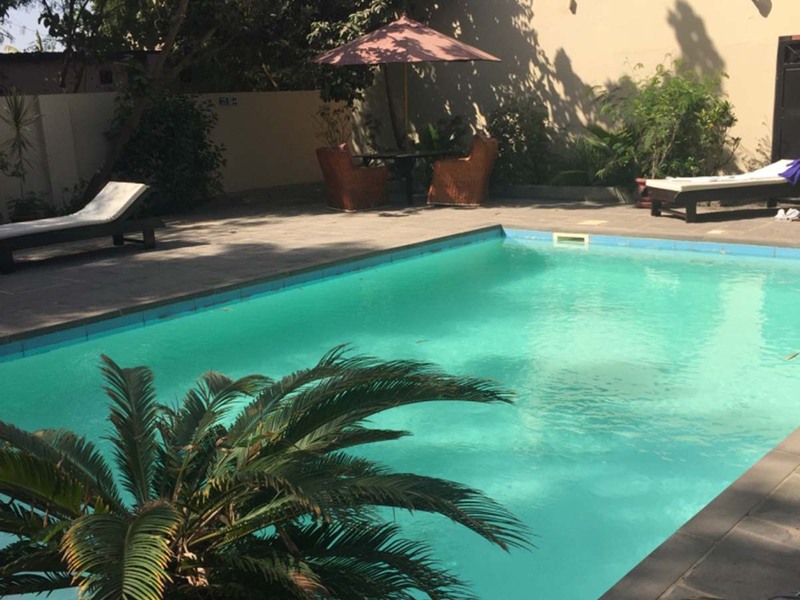 There is ample space around the pool to accommodate families or small groups and private dinning can be arranged here as well as breakfast and lunches. There is a service bell, which rings though to the bar, ensuring you are hidden from view but not from service! The Pool Suites are individually designed and is composed of a sitting Room equipped with TV, coffee/tea making facilities and a fridge. The spacious bedrooms are equipped with TV and air-con and en-suite with generous cupboard and wardrobe space.